The Caligula Effect has, in a lot of ways, the perfect anime or JRPG premise. It takes you to Mobius, an idyllic virtual world created by a sentient vocaloid AI that takes people who can't cope with life out in the real world and immerses them in a facsimile of anime teenage high school life. Those inside are safely esconsed away from life's problems, but they're not willing participants. A group of them, calling themselves the 'Go-Home Club' are determined to leave whatever the cost. It's not so easy, of course. They're opposed by the Ostinato Musicians, composers who will stop at nothing to stop people from leaving Mobius. Complicating matters even further, both sides have abilities called 'Catharsis Effects', weaponised and externalised emotional traumas that appear as (extremely cool) body-altering weaponry. Anime high school + super high sci-fi stakes = perfect JRPG premise! 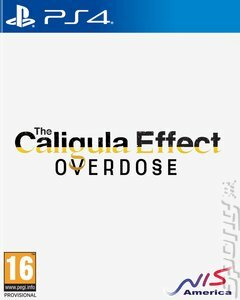 This is an adaptation of the original Caligula Effect on the PlayStation Vita, but everything from the combat to the graphics to the Persona-like relationship system has been souped up, and there's even a new narrative strand that allows players to take on the game as the Ostinato Musicians. It makes for a more fully-realised package then the original with a cool concept and plenty of meat on its bones.